*Nominated & Awarded* | The Liebster Blog Award! | by The Geek’s Bookshelf! 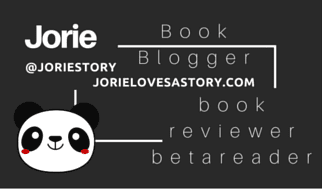 I, Jorie, of Jorie Loves A Story, have been thus nominated to be awarded the coveted “Liebster” Blog Award, on 29th of September, (a Sunday), 2013! The blogger who contacted me to inform me of this honour is *Sarah! * | A Geek’s Bookshelf, of whom I am certain I have visited in the recent past, but I am forgetting the connection of my stop on her blog, by which, she reminded me, it was Bout of Books, 8.0!! She is also one of my Feedly readers!! Answer 10 Questions About Yourself. These should be provided to you by the person who nominated you, but hey, maybe they didn’t know! Nominate 5+ blogs that you feel deserve the award, which have less than 1000 followers. I also read this to be between 200-3,000! Clearly flexible! After you have posted your “Liebster Award” post, kindly inform the people whose blogs have been nominated for the Liebster Award. Provide a link to your post so that they can learn about the award (as they could be in the dark about it!) and make sure to send your 10 questions and tell them to provide their own 10 random facts! Although many mistake this for a chain letter type of blog post, to me it feels more like a bookish community meme, wherein everyone enjoys sharing the love of blogging with the aspect of finding out a bit more about the blogs we come to love on our blog hoppin’ visits! The main idea behind the Liebster is to recognise your favourite new bloggers and help promote them! At its root, it’s a compliment you pay forward! What books on your shelf are begging to be read!? |In no particular order: Rebecca’s Tale by Sally Beauman (sequel to: Rebecca by Daphne du Maurier; both on my tCC! ); Dragon Rider by Cornelia Funke; Glow by Jessica Maria Tuccelli; Moonrise by Cassandra King (which I believe is either a sequel to Rebecca OR Jane Eyre; going on my tCC! ); Orphan Train by Christina Baker Kline; The Spymaster’s Lady by Joanna Bourne; Odd Mom Out by Jane Porter; Fly Away + Firefly Lane by Kristin Hannah; and Mistress of my Fate by Hallie Rubenhold! Do you save old greeting cards and letters!? |I must certainly do! I started to write letters to friends’ who live outside my own country when I was younger, as there was a pen pal club for children. My first correspondents were to a Norwegian girl who lived near the Arctic circle and a Kiwi (New Zea lander) who lived in a large city compared to how small her island country truly is! I loved receiving their letters, as each letter was an adventure and a learning experience of getting to know someone who lived far, far away from me, with different customs and traditions! I continued to find new people to write as I entered my teen years, and onwards through to present day! My correspondents have become my cherished friends!! The treasure each of them, and quite a few of them read this blog now, and so, this is a special shout-out to them for always supporting me and being a bright light in my life! THANK YOU! Oh, to answer the forementioned question! Laughs! I not only save their letters and cards, but I make sure each friend of mine has their letters secured into a special folder whereupon I can re-read their letters at any point in time! I love seeing their handwriting, choice of stationery, typeface if they typed their letter, and of course, the pure delight of seeing which postage stamps were selected for the envelope! Which animals scare you the most!? | Hands down, snakes, spiders, and anything in the insect world! Do you have a catchphrase!? | Not only do I have a wide variety of them, but I tend to either compliment someone else who used one that I liked for myself by saying it whenever I feel it’s warranted to be used; but I oft make up new ones to try out OR to become part of my voice! :) The one that I use the most online though is “wicked sweet!” To express my purist joy over something that has caught my eye or attention! How and where do you prefer to study!? | Although, I am well outside the schooling years, being a writer who craves research as though its going out of fashion, my favourite places to study the research I need to stitch together my stories are in two places: a library | my study! I am sure most writers have a ‘study’ these days, as it serves a duality of purpose, part personal library, part research hub, part writer’s lair! It’s that special place where you can tune out the world, and focus directly on your writings and the characters that are pulling you deeper into their stories! When did you immediately click with someone you just met!? | You could say each friend that I cherish to have in my circle is an example of this, including the lovely souls I am sending this Liebster Award too! There are some people who alight in your life, as happily as a butterfly OR ladybug, who singularly know how to make you smile, engage you in a great conversation, and whose presence is always appreciated! I am quite blessed, indeed! What’s something that amazes you!? | I would have to say the natural world, of whom I am always rapt in awe with what I observe, discover, and uncover through my lens, as I walk amongst the inhabitants of a world just a stone’s throw from our own! Comparatively, I can never stop seeking out the stars and constellations that slowly move around us in the upper cosmos and yet, reflectively are a constant part of our lives, as they’re twinkling never fails to impress me by their ability to transport me out of a living moment and into a pensively blissful one! To put it mildly, I am a reader who can become jazzed about a book as quickly and as simply as wandering through a library, a book shoppe, a card catalogue, a book tour, random bookish blogosphere reads, OR anywhere else my eyes alight to find the creative scope of a story! Due to this magnetic attraction, my TBR Mountain has grown a bit past Everest in both height and depth! Therefore, I will be implementing the bookish sphere’s project: The TBR JAR in October! Stay tuned! I am most comfortable being away from our hectic lifestyles by absorbing myself into the simplicity and serenity of the natural world! I breathe deeper and feel an internal balance whilst swept into marshlands, prairies, mountains, lakeshores, forest, and oceanscapes! I love the curious creatures who inhabit these diverse ecosystems as much as I like taking stock and notice of the natural environments that live counter-current to our own lifestyles! The random joy of seeing birds of prey within a stone’s throw of your stance and to be caught up in the beauty of a shorebird alighting on a path inches from your camera lens is a true blessing to behold! Nature affords such a calming effect on me, that I always ache to return into her folds of grace, if too much time has elapsed since my last visit! Cats will always have a place in my life, because I cherish having their presence in my life! The hardest part of Spring, (as read here) was the sudden death of my beloved cat! He has left an impression on me, due to his strength at the height of an insidious illness, as much as his uncanny way of knowing when you’re not feeling well yourself! His kind soul-filled eyes could melt your heart, and warm your wary soul! He was outspoken, considerate, and a true diplomat when it came interacting with other animals! Cats tend to know instinctively how to fit into your life, and for that, I am forever blessed to know them! Although I have the tendency to watch quite a heap of medical examiner series (fictional ONLY! ), I am squeamish about how visual and graphic I am willing to go to watch them! This is most readily a ‘true quirk’ because although I adore: Crossing Jordan, Castle, and NCIS, I oft long for the softer edges of Quincy, M.E.!! At the same time, police procedural dramas and detective mysteries are amongst my favourite tv serials to watch! Case-in-Point Examples: Nash Bridges, The Sentinel, Walker, Texas Ranger, McMillan & Wife, The Mentalist, Castle, Monk, NCIS, NCIS: LA, Hawaii Five-O (original/sequel), Cagney & Lacey, The Division, Sherlock (Benedict Cumberbach), Hetty Wainthroppe, Rosemary & Thyme, Inspector Morse, Inspector Lewis, Endeavour, CHiPs, and a heap more I am sure to have forgotten to mention! Pottery was a passion of mine, but not from the artisan side of it, but rather the hobbyist side!! I used to love to pick out unfinished bisque, sit down with water-based paints, and just paint the world of time away by absorbing into that piece and seeing where the day took me! I was going to have my own locker at a pottery studio, complete with array of paints, white & green bisque (there is a better word for that, but I’m forgetting it! ), and a lovely gathering of artsy souls, but the place went out of business the very day I went to put my ‘lock’ on the locker! Oyy vie! I thrive on four seasons yet I struggle to survive in a sub-tropical volcanic heat intense state such as Florida! Charlene @ Bookish Whimsy | I originally found Charlene’s blog through her post about “Finnikin of the Rock“. At the time of nomination she has a total of: 1,648 followers [via Twitter, Linky Followers, & Bloglovin’] What I love about Charlene is her lovely way of drawing you into her interests, and for never letting you feel as though you’ve let her down if time swept you away from something! She has a kind-hearted spirit, and is as mad-crazy about authors and books she adores as I am! She has a great sense of knowing how to convey her thoughts in her reviews, and she’s always there to cheer you when your downtrodden and celebrate your joys when you’re accomplishing something rather grand! Lianne @ Caffeinated Life | Lianne & I were matched through a Blog Pen Pal Exchange, hosted by Stormy @ Blog. Book. Bake. At the time of nomination she has a total of: 50 followers [via Bloglovin’ + Feedburner] Curiously we each were going through a heap of life moments that were sweeping us away from our ability to compose our thoughts onto paper, but we did each manage somehow to get out one letter that fateful month! However, what endeared me the most was her listening ear, whenever I had a ‘blog’ question to pitch to her, OR to ruminate about something I had learnt to do myself on JLAS! She has a great spirit for sharing not only her life, but her passions contained in motion pictures, books, and blogging! She is an incredibly patient soul, and I am quite eager to see where our next conversations take us! Maggie @ An American in France | Brought together through a read-a-long of Jane Eyre, neither of us expected to find a true blue friend in each other! At the time of nomination she has a total of: 63 followers [via Bloglovin’ + Twitter] It is always said to be that the people who cross your path are the ones you might not see alighting into view! You never know who you’re going to meet, when you will encounter them, or how radically altered you will feel by having their presence bless your life! Maggie came out of the ether’s of Septemb-Eyre and we have been stitching together our friendship ever since! Including starting to exchange letters by postal mail which delights me to no end! 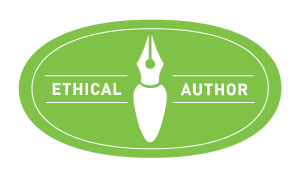 Audra @ Unabridged Chick | At the very heart of her blog, is a reader who isn’t afraid to read something with a controversial subject if at its core is a story of the human condition! At the time of her nomination she has a total of: 1,771 followers [via GFC, Bloglovin’, and Twitter] Audra was an unexpected stop on a tour hosted via TLC Book Tours, for “Freud’s Mistress“!! As I started to read her blog, visit more of her tour stops, and get an insight into her reading life, I started to realise that I wanted to keep dropping back on her blog each day &/or week, just to get caught up! She was reading and reviewing a LOT of books that turned my eye, but maybe, I had hesitated to seek at the library, for one reason or another! Finding out that she is a fellow writer was simply happenstance and pure bliss! Christine @ Readerly Musings | I quite literally ‘stumbled’ across Christine’s blog within hours/days of her launch! I felt like I was able to pass forward something that I did not experience myself, which was a fellow blogger who found my blog unexpectedly and jumped into a a hearty conversation about reading, books, and the merits of spontaneous joy + discovery! Our conversations exploded on her blog, and I am forever grateful now, to the WWW Meme, which was responsible for bringing our blogs together, and for giving us a new friend we were not expecting to meet! At the time of nomination she has a total of: 7 followers via WP! How did you initially get caught by the bookworm, to develop a passion for reading as you entered adulthood!? What are your go-to yearly reads if you have been able to curate a short list of books you MUST re-read!? IF not, which books would you love to re-read if you had the time!? What is one of the biggest joys that book blogging has brought into your life!? Were you surprised how dedicated you became to curating content for your blog!? What makes you awe-struck to the brink you just have to stand there in rapt amazement!? What city would you love to visit if you haven’t already!? Why is it of interest!? Do you have any books that are winking to you from your shelf and you simply haven’t had the time to read them!? What is your favourite bookish character &/or tv serial!? Do you seek out classic motion pictures OR only watch modern films, outside of book adaptations that is! ?